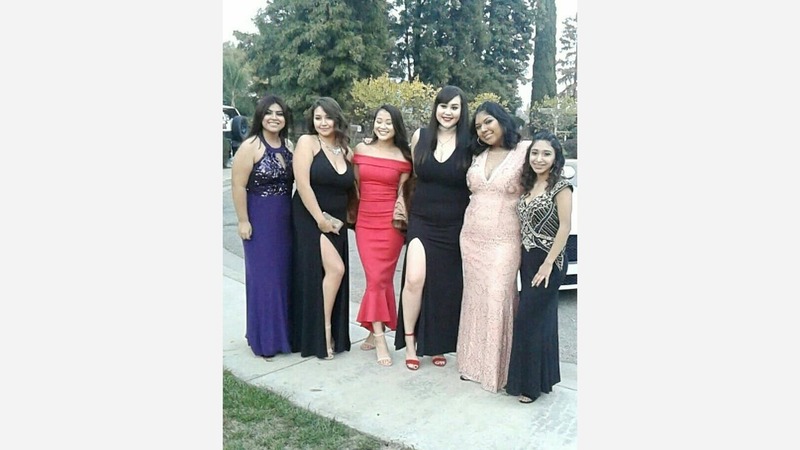 VISALIA, Calif. (KFSN) -- When Alyssa Cervantez and her friends took a picture before their winter formal dance, they had no idea a total stranger would be picking up the bill at dinner. Prior to the dance, the Mt. Whitney students went to eat at El Tarasco in Visalia. The bill was about 80 dollars. "The girls asked for the bill and the waiter said a party of three paid for the bill," her mom Diana Martinez said. "They told the waiter to tell the girls just to tip the waiter and have a good time. The girls told the waiter to tell the party of three thank you, but he said they already left." The girls were all surprised someone would pay all that money for their dinner and were more than thankful. Diana is sending out a thank you on Facebook, hoping it reaches the strangers, writing "Thank you to the kind person who paid for all 6 girls dinner last night for winter formal at El Tarasco. Bless your heart." Now, she's telling her daughter she has to pay it forward.